The Savage 10ML-II easily generates much greater velocities with smokeless powder than is possible with any conventional muzzleloader. That combined with the quicker, 1:24" twist, left me with the opinion that a longer bullet, offering even better ballistics, would probably shoot great. I made several hundreds of the 260 Dead Center .40 and put them through their paces. In addition to my own testing, I sent the new longer 260 Dead Center to a couple of my friends in the industry to get their feedback. Check out their results. Mule deer buck shot by Toby Bridges. 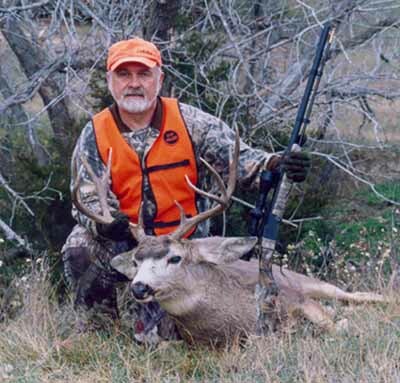 Toby writes "I was hunting with a new break-open muzzleloader from Mid-Western Outdoor Specialties (of Joplin, MO)(Denali). 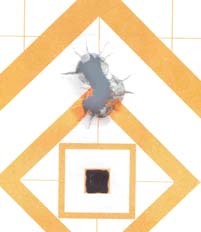 I was shooting a 110 grain charge of FFFg Triple Seven, for almost 2,100 f.p.s. from the 28-inch .50 caliber barrel. I had spotted a group of mule deer at about a half-mile, and using a steep ridge for cover, was able to cut the distance quickly. When I eased to the top of the ridge, the deer were all inside of 200 yards. There was one better buck, but he did not offer a shot. And when this one stepped out, I hit it with my laser rangefinder, and it read 181 yards. 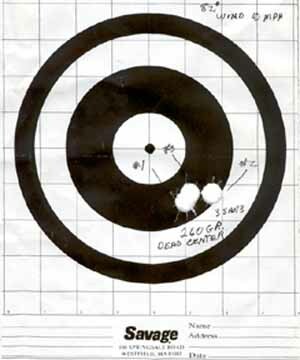 The rifle was sighted 2" high at 100 yards, and since I was shooting slightly downhill, I held about 3-inches above "dead center" of the shoulder and squeezed off the shot. The buck dropped on the spot. 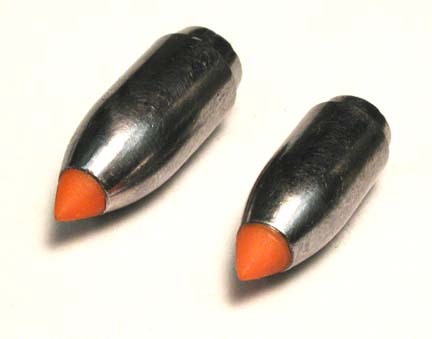 The bullet angled slightly rearward, and exited out the opposite side. However, it had punched through the blade of the shoulder that offered the shot, and had apparently expanded well. The exit hole looked 3 times larger than the entrance hole." assuming a muzzle velocity of 2150 fps. Nothing shoots flatter; nothing offers more downrange energy.